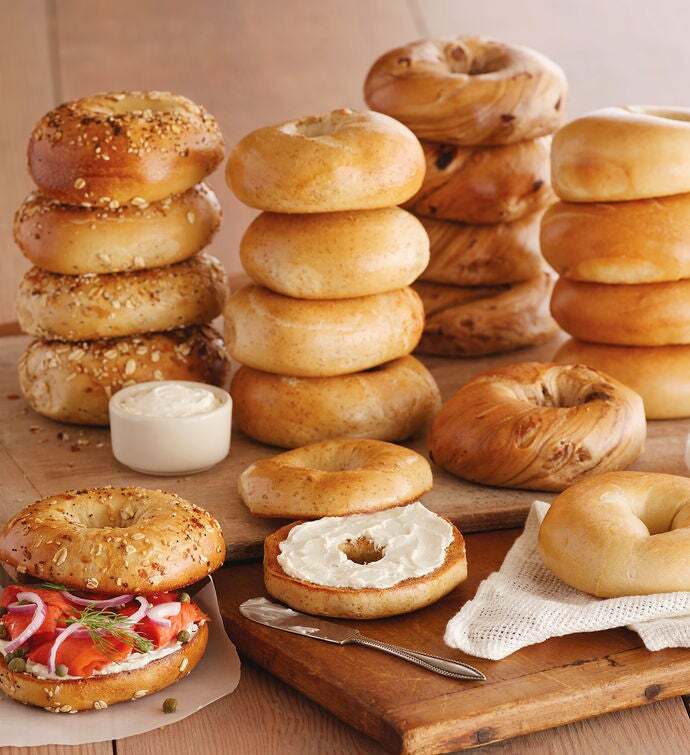 Now you can experience the most amazing bagels in our Davidovich Bakery Bagel Assortment. With the first bite you'll notice the glossy and almost crunchy exterior, followed by an interior that is blissfully soft and chewy. New York artisans have perfected the craft and hand-roll each bagel individually. The bagels are then kettle-boiled and baked in the oven on wooden planks. Made from all-natural ingredients, this delicious gourmet assortment includes five bagels of each flavor: Plain, Cinnamon Raisin, Everything, and Whole Wheat. Kosher. Davidovich bagels are preservative-free. Please refrigerate or freeze them upon receipt.